Beautiful bird! Is that a Blue Macaw? I’m not sure. I know they told us, but I don’t remember. Oh, he’s so cute! Is he yours? No. 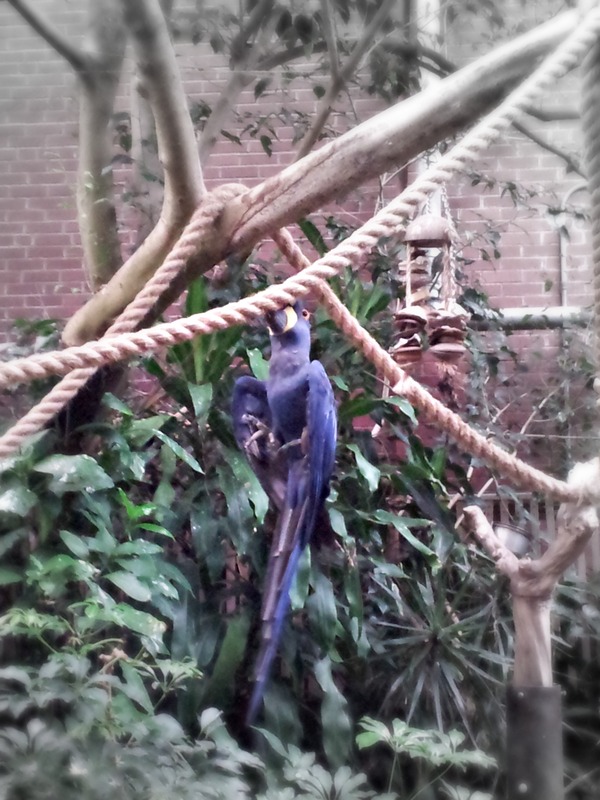 He was at the aviary. We are thinking about maybe getting a couple of canaries. Our daughter loves birds. Is it hanging from the rope by its beak? Yeah. He was a bit of a show-off.